The show is sponsored by Grizzly Liquor, “Missoula’s Best Choice”. This week WineGuyMike™ is going to be talking about bubbly for your party. First off I’m going to be discussing what the differences are between Champagne, Sparkling Wine, Cava, Prosecco, and Spumante. Then I will suggest what might be great for your New Year’s party and share a party planning tool that will help you plan your party. Now let’s dig in and get to the bottom of all of this. Champagne is expensive due to the traditional method of how it is made, M´ethod Champenoise and techniques known as second fermentation. This process takes place in the bottle and requires hands on attention. 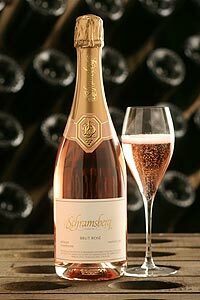 Pink Champagne is strained through the Pinot Noir grape skins, truly a delight. M´ethode Champenoise is the true French fermentation process. The wine is fermented twice, once in an oak barrel, and the second time the wine developes carbonation in the bottle while aging a minimum of one year. Blanc de Blancs is true French Champagne, it is produced entirely from the Chardonnay grape. Blanc de Blancs fermented using the Methode Champenoise process, producing white Champagne. Asti Spumante is a sweet sparkling wine. 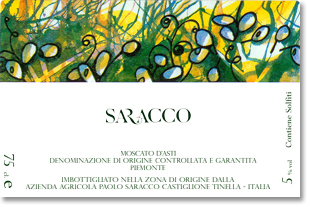 It is produced in the province of Asti and made from the Moscato grape. Spumante is a fruit forward sparkling wine that is grapy, and has a low alcohol content usually around 8% . Moscato d’Asti is a sparkling wine that is frizzante in style and for my palette I find these wines to be more refined than the Asti Spumante. – attractive sober color, flowery nose, fine and persistent head, very elegant and balanced mouth. So you want to know what wines to have with your Christmas dinner well WineGuyMike™ has got you covered. 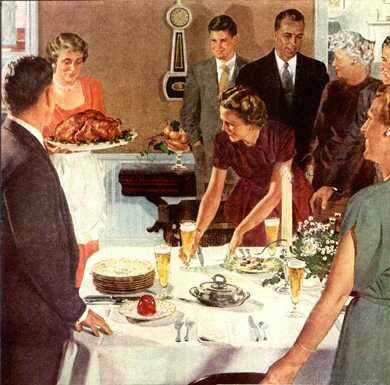 Below are links to various main entree’s you may be preparing especially for your family and friends. I hope you’ll enjoy these recommendations I have paired for you to enjoy with your Christmas dinner. I would like to take this opportunity to wish you and your families are very Merry Christmas or as we say in my house Buon Natale. This week WineGuyMike™ received a number of great food and wine questions. I would like to thank my fans, please keep your questions coming. As you may know if I select your question as a topic for the radio show you win a gift certificate from the show sponsors. Remember all questions are good questions and thanks for asking. Q. Beth Hammock asks; I’m looking for ideas on wine for my traditional Christmas Eve dinner, which is beef burgundy, and my Christmas turkey dinner. Help me out, please, Mike. I guess I also should ask what the modern version of Burgundy wine is. I think my recipe is kind of old-fashioned and maybe some more modern wine would be even better. The only burgundy I ever find is super cheap, like cooking wine. A. WineGuyMike™ suggests; For Christmas Eve dinner I would recommend a Pinot Noir from Adelsheim Vineyard. I would select the Elizabeth Reserve which is a little pricier than I usually recommend but worth it. If you would like a white wine also I would recommend a French Chablis Grand Cru or a Meursault, both made from Chardonnay grapes, but these aren’t your momma’s Chardonnays. Have a Merry Christmas Beth from WineGuyMike. Burgundy is a catch all name for inexpensive jug wine in the U.S. Real Burgundy wine is French Pinot Noir for the most part, although Beaujolais is produced in Burgundy as well which is made from the Gamay Beaujolais grape. Chablis Grand Cru This is a white wine from Burgundy made from 100% Chardonnay grapes. This is a very refined wine that comes from the very best parcels of land in the area. There are only seven vineyards allowed the Grand Cru designation. Meursault This is a white wine from a region in Burgundy known as Cote De Beaune (coat duh Bone), located in the southern portion of Cote d’Or (coat DOOR). The Coat d’Or is as an area in Burgundy that produces some of the finest wines in the world. This wine is also made from 100% Chardonnay grapes and there are three different qualities of this wine, Villages, Premier Cru, and the Grand Cru. What differentiates one from another is the quality of the soil and the winemaking process with Grand Cru being the very best. WineGuyMike™ really prefers to keep things as simple as possible and in doing so let’s consider a few things before I recommend which wine types are best suited for your particular Christmas Day wine selections. In considering balance and in this case I’m referring to weight and texture of the main food entrée and the weight and texture of the wine you would choose to serve with your dinner. How you are going to cook the Turkey, and today we will of course be using roasting a Turkey as an example. You may also be using a sauce or gravy to garnish your entrée with. There a couple of more things to think about before we go wine shopping too. Today I’m going to be recommending wines that pair well with your main entrée, which are Turkey and gravy. So in contemplating these suggestions I will consider the fact that acid brings out flavors in food and helps to leave a lingering flavor on your palette. I will also consider the fact that Turkey is mild and relatively light to medium textured and in doing so I will be suggesting wines with a bit of acidity and will be light to medium bodied. Now we can talk about our wine type choices, or at least what types of wines match our criteria for the meal we are serving. These are the wine types I believe are best suited for your Christmas Day dinner. I would recommend having one white and one red wine from the light bodied category, one wine from the medium bodied category, and one full bodied Chardonnay that is not oaked to complement your dinner. Q. Alan Aavedal asks; what is the best wine to pair with a Christmas ham dinner? Looking for a reasonably affordable suggestion ($15-$20), will need to not be too ‘specialty’ as many will try it. A. Alan thank you for your question. There are a number of varietals or wine types that would pair well with the Ham you’re serving for your Christmas party. Let’s take a look at the varietals I will be recommending. Riesling one of the prominent white wine grapes, a pure Riesling is complex yet delicate. Some Rieslings are just pretenders made from inferior grapes, the Grey Rieslings, and Sylvaner Rieslings. A Riesling will be light, medium dry, fruity, a mild citrus flavor, with a mellow floral aroma. Gewurztraminer wine is spicy, fruity, floral, and herbal. This is a dry, earthy, aromatic wine that is genuinely refreshing. Sangiovese or Chianti, probably the most well known of Italian wines(at least that holds true in the United States). This grape is also the major contributor for many other fantastic Italian reds. This spicy medium bodied red also exhibits cherry and raspberry flavors. Shiraz or Syrah is a big powerful full bodied wine, also known as Shiraz in Australia. Supple, smooth, rich with well manered mellow tannins describes the syrah wines. Flavor wise Syrah can be slightly spicy, fruity like black cherries, or some may have a deep nutty flavoring. Merlot wine type or varietal is great to drink with or without food. It tends to be soft, smooth, and very fruit forward. Winemakers the world over are creating rich style merlots that are wines full of cherry and oak flavors. This is a medium bodied wine. Georges duBoeuf Beaujolais – Villages – This Beaujolais-Villages displays a deep, luminous cherry color, red with bluish tints. The bouquet offers ripe red fruit character, suggesting strawberry and black currant, with a touch of cinnamon. Velvet-like in the mouth, with soft tannins, it is well-balanced and complete. A wine which lends itself to all occasions, from the apéritif to the cheese board. I hope that you find these suggestions helpful in putting together your Christmas Day wine list. Thinking about this ahead of time will lead to a much better wine shopping experience, not to mention the time you will save not staring at too many wine bottles on a shelf. After a few minutes all the bottles begin to look the same. Having a wine focused Christmas Day dinner can make it a lot of fun and remember this list of slightly acidic wines are suggested because they will intensify all the wonderful flavors of your Christmas Day dinner. It will also be fun to share with your family and friends all about the wines you have carefully selected with the dinner to pour for them, they will surely feel as special as they are. Let’s not forget to take a moment to think about all that we are thankful for and that includes the very special people in our lives, because how much better is a nice bottle of wine when we a sharing a glass with someone. One last recommendation would be to stop in at my official sponsor Ciao Mambo, they have a great wine list with wines by the glass. You can experience some of these wine types before you serve them with your Christmas Day dinner. Q. April asks; I was just wondering what type of red wine would work best in a mulled spice cider. A. April I am suggesting a few different wine types or varietals for your mulled spice cider recipe. I have made these particular recommendations specifically because these varietals all have a bit of spice to them which I think will compliment your recipe. These wines also will either be a little on the drier side or be a have tannin that will also blend very nicely with your recipe. I hope you’ll be sharing a tumbler full of this cheer with me, hint hint. Thank you Autumn for your question and happy holidays to you. Cabernet Sauvignon This varietal is a big, powerful red wine that is full in body, rich, and very flavorful. Cabernet Sauvignon is a wine that imparts flavors of fruits, berries, currants, and plums. This wine may also exhibit slight spicy nuances. Malbec One of Argentina’s finest! This is a medium body fruit forward wine that can be described as a flamboyant red. A spicy and tannic wine; at its best this wine can be outstanding. Sangiovese One word Chianti, probably the most well known of Italian wines (at least that holds true in the United States). This grape is also the major contributor for many other fantastic Italian reds. This spicy medium bodied red also exhibits cherry and raspberry flavors. Cabernet Franc Spicier than its cousin Cabernet Sauvignon Cabernet Franc has traditionally been used as blending wine. It now is gaining popularity as its own stand alone wine type or varietal. This is a full bodied wine. Pour wine in slow cooker. Wrap orange peel, cinnamon stick halves, cloves, and nutmeg in cheesecloth. Add to slow cooker. Cover and cook on HIGH 2 to 2.5 hours. Discard spice bag; ladle into glasses. Garnish with orange slices. I want to wish everyone a Merry Christmas, thank you for making this year the best present a person could hope for. This week WineGuyMike™ received a couple of really good questions. Thanks to my fans and please keep your questions coming. As you may know if I select your question as a topic for the radio show you wine a gift certificate from the show sponsors. Remember all questions are good questions and thanks for asking. Q. Autumn asks; I was just wondering what type of red wine would work best in a mulled spice cider. A. Autumn I am suggesting a few different wine types or varietals for your mulled spice cider recipe. I have made these particular recommendations specifically because these varietals all have a bit of spice to them which I think will compliment your recipe. These wines also will either be a little on the drier side or be a have tannin that will also blend very nicely with your recipe. I hope you’ll be sharing a tumbler full of this cheer with me, hint hint. Thank you Autumn for your question and happy holidays to you. Q. Two questions for you. I would like to give wine as a Christmas gift this year to a friend who shot his first elk with a bow and arrow. He is very proud of the achievement. #1. What wine would you suggest? #2. Is there a winery with a theme or name that would honor his achievement as a hunter? A. Jan what an interesting question, thank you for asking. First we will look at the wine types or varietals that will pair or match well with your friend’s elk dinner, boy I’m hungry already just thinking about all the ways I could serve this dinner. Wines to pair with Elk; Jan I have suggested numerous wine types or varietals of wines in the following list but as you have requested I have suggested a particular bottle that will pair beautifully and honor your friends hunt. 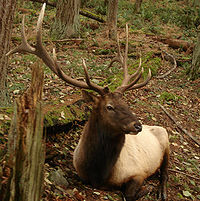 The Roosevelt elk also known as Olympic elk is the largest of the four surviving subspecies of elk in North America. They live in the rain forests of the Pacific Northwest and were introduced to Alaska’s Afognak and Raspberry islands in 1928. 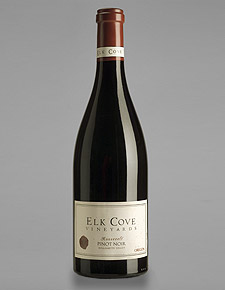 Elk Cove Vineyards is one of Oregon’s oldest and most respected wine producers. Founded in 1974, by Pat and Joe Campbell, their focus has always been to produce hand crafted, Estate grown wines that can rival the best in the world. Estate vineyards now cover over 220 acres on four separate sites in the Northern Willamette Valley. The Roosevelt Vineyard is a four-acre planting situated just south of the winery on Willakenzie soils. The south-facing hillside points to a steep precipice overlooking the magnificent Williams Canyon. It is a high density planting with 2100 vines per acre spaced approximately one meter by two meters apart. This is a premier Single Vineyard site with a steep hillside vineyard that undergoes extensive pruning and cluster thinning to limit yields and maximize ripening in order to concentrate the fruit. This parcel is completely farmed organically. Wine description; This wine is well structured with a firm backbone; it is bright ruby-red in color. Hints of minerality, dark berry, cherry, followed with a smoky herbaceous nuance. This pinot has a big complex finish that leaves the palette lingering for more. Pinot Noir; is the medium bodied grape variety of red burgundian wines; it can produce wines that are incredible. When aged in oak, it should have sweetness reminiscent of raspberries, with undertones of vegetation and chocolate. The wine can stand up to aging for many years. Pinot Noir at its best will be smooth, full of flavor, and a beautiful bouquet. Beaujolais; Gamey Beaujolais a wine from France that is made to be drunk very young, right after bottling. This is a light bodied red that has very little tannin and is low in alcohol content. It is a fruity red wine that has berry overtones and is light bodied. Chianti; Chianti, probably the most well known of Italian wines(at least that holds true in the United States). This grape is also the major contributor for many other fantastic Italian reds. This spicy medium bodied red also exhibits cherry and raspberry flavors. Sangiovese; Sangiovese or Chianti, probably the most well known of Italian wines(at least that holds true in the United States). This grape is also the major contributor for many other fantastic Italian reds. This spicy medium bodied red also exhibits cherry and raspberry flavors. Shiraz; or Syrah is a big powerful full bodied wine, also known as Shiraz in Australia. Supple, smooth, rich with well mannered mellow tannins describes the Syrah wines. Flavor wise Syrah can be slightly spicy, fruity like black cherries, or some may have a deep nutty flavoring. Merlot; wine type or varietal is great to drink with or without food. It tends to be soft, smooth, and very fruit forward. Winemakers the world over are creating rich style merlots that are wines full of cherry and oak flavors. This is a medium bodied wine. 4. Chianti Classico; Chianti that is produced in the inner historic district of Chianti, a better quality than basic Chianti. The red wines of Bordeaux are blended buy winemakers and contain Merlot, Cabernet Sauvignon, and Cabernet Franc. When determining the quality of a Bordeaux wine you need to look at the wine label. 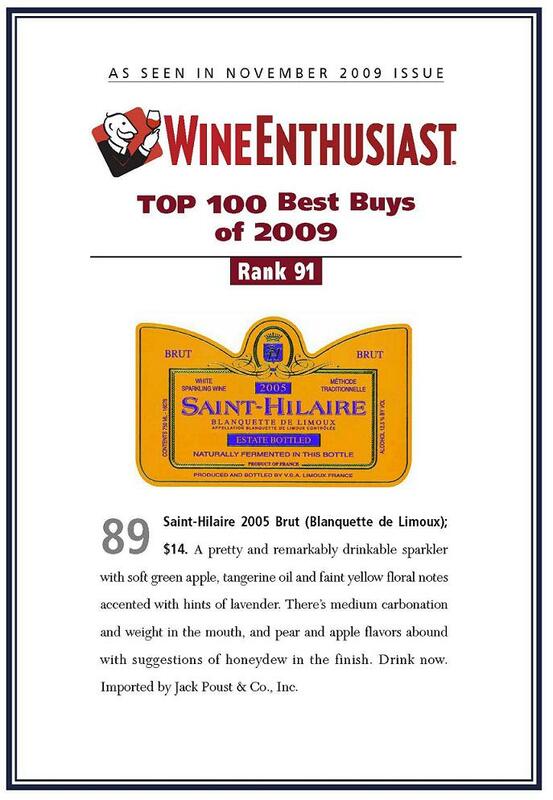 Pricing for Bordeaux wines is direct result of the quality and you will be able to determine this by looking at the wine label to see what information the label is providing you. Chardonnay; is one of the most complex white wines, thanks to winemaking techniques, and the grapes ability to draw flavor from the nutrients and minerals in the soil. Chardonnay is aged in new oak barrels, old oak barrels, and steel barrels, all producing varying nuances in the wines. New barrels produce the strongest oaking, old barrels have a slight oak influence, while the steel has no oakiness. This dry wine is rich, bold, and full of fruitiness, vanilla and a certain toastiness, just to name a few characteristics. Complexity is the word that best suits Chardonnay. Chablis Grand Cru; A white wine from Burgundy made from 100% Chardonnay grapes. This is a very refined wine that comes from the very best parcels of land in the area. There are only seven vineyards allowed the Grand Cru designation. Meursault; A white wine from a region in Burgundy known as Cote De Beaune (coat duh Bone), located in the southern portion of Cote d’Or (coat DOOR). The Coat d’Or is as an area in Burgundy that produces some of the finest wines in the world. 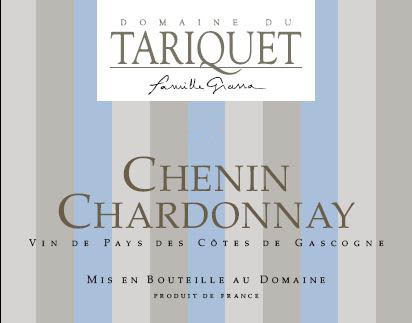 This wine is also made from 100% Chardonnay grapes and there are three different qualities of this wine, Villages, Premier Cru, and the Grand Cru. What differentiates one from another is the quality of the soil and the winemaking process with Grand Cru being the very best. WineGuyMike™ received a food and wine pairing question, and a question about wine accessory ideas for gifts this week. Thanks to my fans for thinking of topics that help us all learn about wine together. Q. Louise asks; I’m preparing a leg of lamb prepared in a traditional Mediterranean style. The Lamb will be seasoned and then served with diced tomatoes. What wine shall I serve with my dinner? A. This is a great question Louise as there are a couple of components in the main dish to consider, first the lamb itself but also the diced tomatoes. Red Zinfandel This full bodied, fruit forward, and spicy wine is one of California’s favorites, and most plentiful. Zinfandel wines are very versatile and have notes of berries, cherries, tobacco, oak, and vanilla. Nebbiolo This grape is a no nonsense contender from northern Italy. California is also working with the Nebbiolo. This wine is best known for huge, robust, full bodied wines such as the Barbarescos’ and Barolos’ from the Piedmont area of Italy. Piedmont is one of the great winegrowing regions in Italy. It produces prestigious wines such as Barolo, Barbaresco, from the Langhe near Alba, and the Moscato d’Asti (as well as the sparkling Asti Spumante) from the vineyards around Asti. One of the indigenous grape varieties is the Nebbiolo varietal. A big wine like the Nebbiolo may need a decade to mature properly. These wines tend to be heavy on tannin and high in alcohol content so they need to be aged correctly. If the Nebbiolo wine has been aged and cellared properly they can be delightfully chewy, with hints of berries, herbs, and slightly floral. WineGuyMike’s recommendation for Louise and her wine and Lamb pairing question. If I were feeling flush and money was no object my recommendation would be to pair the Chateautneuf-du-Pape or the best Bordeaux Chateaux with my lamb dinner. 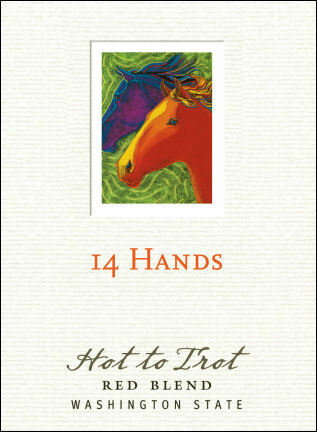 If I’m dining on a budget I’m recommending the 14 Hands Hot to Trot Red Blend which offers an amazing value for the quality of this wine from Washington’s Columbia Valley. Now on to Alisha’s question about wine accessories for Christmas Gifts. There are a million gadgets out there but here are a few I would love to receive as a gift. Go ahead, take a sip, Vinturi Essential Wine Aerator wine tastes better, it is more flavorful and has better mouthfeel. It tastes like a richer, more expensive wine. It tastes like it was intended to and is more enjoyable. Vinturi Essential Wine Aerator is very effective at softening tannins which results in a much more pleasant finish. Any bitterness or bad aftertaste is reduced or eliminated. 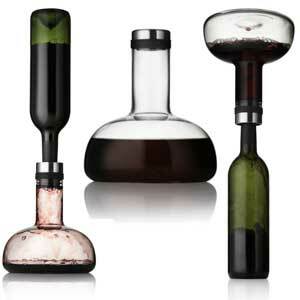 This elegantly designed Menu Winebreather Carafe aerates your wine in one easy step. Simply press the Menu Winebreather Carafe onto the top of an opened bottle of wine and flip it over so that the wine pours into the decanter. You can serve the wine from the Menu Winebreather Carafe, or flip it back over once it’s done and pour the aerated wine back into the bottle and serve from the original bottle. Menu shortens wine aeration time down to 2 minutes with their new Wine Breather Carafe that you simply pop onto your favorite red, flip it upside down, and you’ve got a properly aerated bottle of vino that can be served in the decanter or in the original bottle. Alisha thank you for this perfectly timed question as I’m being asked frequently about wine gift ideas and these are two of the better ones I’ve seen. I hope my wife reads this blog post, honey I want the Menu Winebreather Carafe for my Christmas gift, lol. This week’s winners are; Patti Earling, Jeremy Rhodes, and Jennifer we’ll have wine when you visit next time. WineGuyMike™ received some very good questions this week, thanks to my fans for thinking of topics that help us to learn about wine together. Jeremy Rhodes says I’ve got one! Q.Cellaring is one thing that I just don’t understand that much. I’m looking to buy a bottle of wine for my sister’s 10 year anniversary. I want to buy last years vintage (2009, the year she was married) and cellar it until her anniversary. How do I know which wines would be amazing to drink in 9 years? Prost! A. Okay Jeremy let me take a realistic approach to this question, which is a great one by the way. Today 90% of all wines made are crafted in such a way that they are meant to be consumed within one year. There are most definitely certain wine types and vintages that are better choices for cellaring. The producer of the wine is actually the best resource to consult when it comes to finding out the optimal length of cellaring for individual wines. Tannin – this is a natural substance that acts as a preservative in wines. It comes from the grape stems, skins, and pips of the grape. Wines that are aged in oak also have tannin infused into the wine, this not only imparts nuances of oak and a mild sweetness or vanilla into the wine it also allows for the wines to age properly. The weather plays a very important role in the quality of wines from year to year or as we say in the wine world “vintage”. The better the weather in a given year the more likely the wine from that vintage will be good. The color and grape type are also significant when it comes to aging a wine. Red wines have more natural tannin than a white grape, that is why you generally do not see white wines being laid down for any length of time. A grape, like Cabernet Sauvignon, naturally has more tannin than other types, like Pinot Noir, will be a much better candidate for cellaring. As I mentioned earlier a better vintage of wine will be well balanced in terms of fruit, acid, and tannin and as a result will age well. Terrior, the complex combination of soil, climate, exposition and local tradition that define wines also contributes to a wines ability to age well. Winemaking plays a huge role in wines ability to age. How long was the wine in contact with its skins during fermentation? Was the wine aged in oak which impart tannins that allow the wine to be cellared longer. Proper storage conditions also play a significant role in allowing wine the opportunity to age well. Great producers of California Cabernets and great Chateaux of Bordeaux. Jeremy would also like to know; what does WineGuyMike™ like to drink when the temperatures drop below freezing! The answer Jeremy is great Cabernet from California at the hand of a master winemaker. Thank you for asking, Cheers to you. Q. Jennifer Miler asks; I have heard this question a few times over the years – when someone has a baby giving a bottle of wine that the kid can open when they get older…21 (of course). 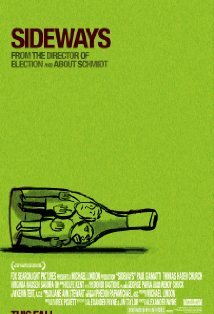 What are some good wines to purchase to be held for a long time ? One of my friends had a collection like this – each year on his birthday, he opened another bottle his parents friends gave him as a baby…it was really cool. A. Jennifer please see the previous answer in response to Jeremy’s question as a great deal of that answer applies to your question as well. The following information would consider the fact that the wines we are discussing came from the best producers of wine. Q. Patti Earling asks; we are hosting a Christmas party for 30 people; some avid wine drinkers some non-wine lovers. Is there a moderately priced vino that compliments a traditional ham dinner and might appeal to both groups? A. Patti thank you for your question. There are a number of varietals or wine types that would pair well with the Ham you’re serving for your Christmas party. Let’s take a look at the varietals I will be recommending.